I am not sure if you are one to make resolutions or not. I am not one, although I do try to change things up in the new year. I don't call them "resolutions" because I mentally think they will fall faster than if I just call them changes. One change this year? Trying to eat healthier! I feel like we have very little time these days... Our schedule is so busy with school and work! 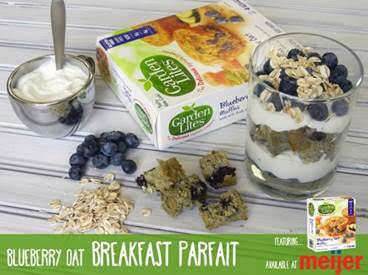 To eat healthier and have an easy option makes it that much better... add to it that it TASTES great... WINNER WINNER!!! Want to know a secret? Garden Lites are a hit in our house! A new year means new things around here... Well, not really "new" things, but moving on. We love to read around here and I honestly think that every room has at least a couple books in there. You might even find one or two in the hall at times! 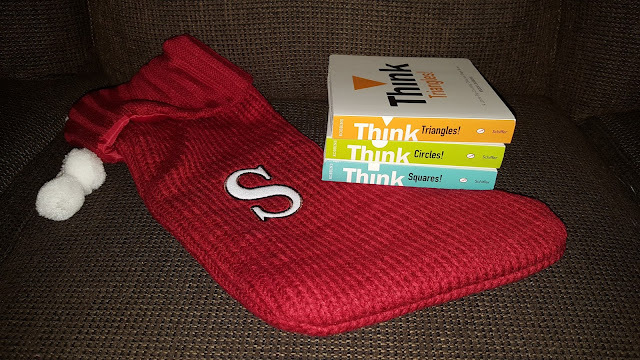 What I meant with new things is that I want to come up with a new reading plan for the new year. We try to read each day, but I want to make it fun and plan activities with it. Right now, Savannah is using the new books she got for Christmas to make paths in the living room. Sometimes she uses it as a "balance beam" to walk on them and not touch the floor (you know, the "LAVA!" thanks to Big Brother...) I am trying to get her to use them to straddle when she walks, as I don't want them messed up... but they are actually holding up really good right now! Ha!!!! Over Christmas, we were invited to check out another great show from Center for Puppetry Arts in Atlanta... It was the classic Rudolph and I was so excited! We had a great time, even with a sick one with us! (These ear infections are for the birds!) We ended up leaving early because of that, but it was still awesome and it made watching Rudolph on TV that much more special. Having said all of that, I wanted to share with you the lineup for things at Center for Puppetry Arts coming up. We are huge fans of the Cars movies from Disney Pixar! When Cars 3 came out, I knew both kids would love it and I was correct! 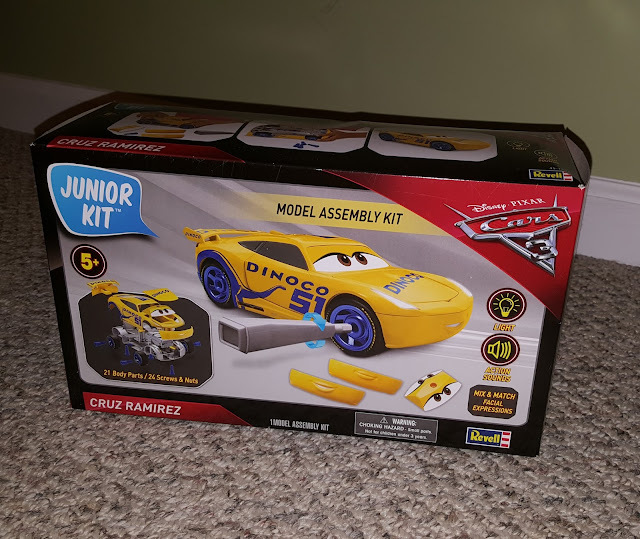 Broxton has several of the smaller cars from the previous movies that Savannah has claimed as her own, so when we were sent a Cars 3 Junior assembly kit for review, I knew it was the perfect opportunity for them to spend time together with a bonus reward! College Football. Do I have your attention now? If you are from the south, you probably know that football season down here. We have winter, spring, summer and football seasons. No matter if you are coming to town for the game this Monday, or if you live near Atlanta. you want to try and plan to work the College Football Hall of Fame into your plans somehow or another. TC Compliant Review Policy: The product(s) featured in this review were provided free of cost to me by the manufacturer or representing PR agency for the sole purpose of product testing. Opinions expressed are my own and were not influenced by monetary compensation. My dad went to UGA, as well as my brother. 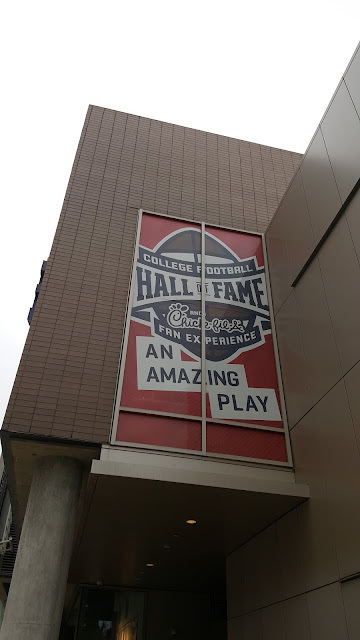 That being said, we bleed red and black and aren't fans of all orange (Tenn, Auburn and Florida to name a few...) I was invited a bit ago to check out the College Football Hall of Fame in Atlanta and I have to tell you, it is impressive.